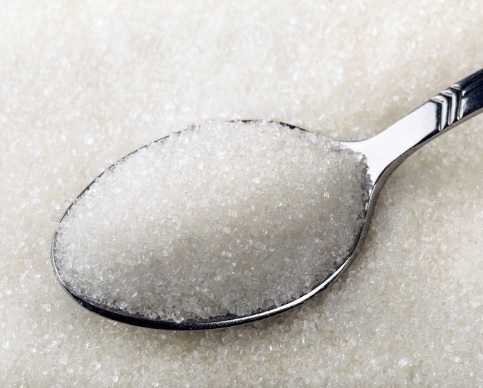 Mary Poppins may have been right about a “spoonful” of sugar helping the medicine go down. But dosing important and often concentrated medications by the “spoonful” isn’t really helpful to patients or parents. The problem is that the “spoonful” is a variable measuring device. Spoons, typical household spoons with which we scoop our cereal and sip our soup, have not been designed to deliver consistent dosages of medications. Nevertheless, such silverware still seems to be utilized far too often when measuring out liquid prescriptions and OTC products. A study recently published in the journal Pediatrics, the official journal of the American Academy of Pediatrics, demonstrated that parents using teaspoons or tablespoons to measure out medication had twice the likelihood of making an error in dosing. A teaspoonful is generally considered to be 5ml of liquid. A tablespoonful is considered to be 15ml. However, the actual volume which YOUR household teaspoon or tablespoon holds might be quite different, ranging anywhere from 3ml to 7ml according to various research. Consequently most pharmacies will dispense a “measuring spoon” “oral syringe” or “dosing cup” with liquid medication in order to promote a more accurate measurement. OTC liquid medications like liquid Tylenol or Advil are often sold with a dosing cup on the top. Take 1 teaspoonful (5ml) by mouth 3 times daily. That makes the dosage a bit more clear. BUT…this study raises a question in my mind: Should we even use the word “teaspoonful” or “tablespoonful” on the prescription label at all? Does the very fact that the word “teaspoonful” or “tablespoonful” appears make it more likely that patients will revert to the use of their kitchen spoon if the handy dosing device isn’t available or convenient? Are we, as pharmacists, implying that 1 teaspoonful always equals 5ml by wording out labels this way? What if we changed the directions to say this? Take exactly 5ml (150mg) by mouth 3 times daily. Use accompanying dosing device. What message are we giving with those directions? Does it convey a more serious approach to the dosing of our liquid medications? Personally, I think it does. Changing the way we think about labeling our liquid medications won’t come easy. Old habits die hard. But studies like this make me think now is the time get serious about it. What are your thoughts? Should we eliminate the word “teaspoonful” or “tablespoonful” from medication labels altogether? Is that going to far? I suppose if you are Mary Poppins, who is practically perfect in every way, dosing sugar by the teaspoonful is still okay. But for the rest of us, I think this is an issue worth thinking more seriously about. ©Jason Poquette and The Honest Apothecary. Unauthorized use and/or duplication of this material without express and written permission from this blog’s author and/or owner is strictly prohibited. Excerpts, quotes and links may be used, provided that full and clear credit is given to Jason Poquette and The Honest Apothecary with appropriate and specific links to the original content. .
3 Responses to How Much is a SPOONFUL of Medicine? Love this article, Very informative especially changing the way prescriptions are worded. Keep up the momentum!!! I am a 45yo and not in a science / medical field. Born and raise in rural USA. I remember them trying to teach metric measurements and the teachers struggling with it. I still THINK in ASE and translate if something is in metric. I have no reason to know how many ml / mg are in a teaspoon but I know what a cooking size teaspoon of anything looks like measured out. If I accidently measure too much (by ml) it will LOOK LIKE too much if I know it should only be a teaspoon. I think if you eliminate the terminology folks are used to, you will still have errors because of the change. Why not “Take exactly 5ml (1 teaspoon) by mouth 3 times daily. Use accompanying dosing device.”? Hi Keisha – Thanks for stopping by! Appreciate the comment. MBee – You make a very good point. One would have to weigh the potential risks of utilizing a household teaspoon vs. the risk of patients using a very different dose because 5ml or 15ml might as well be a gallon for all people know. Hmmmm. Must cogitate that one.